Why support Volunteer Marine Rescue Hervey Bay QLD? More and more people every year are enjoying boating on some of Australia’s most spectacular waterways, right here in Hervey Bay QLD. With an increase in boaties comes an increase in the risk of emergencies and other incidents and makes it more important than ever for Volunteer Marine Rescue Hervey Bay QLD to remain a strong, well-resourced emergency service ready to help save lives on the water. Volunteer Marine Rescue Hervey Bay volunteers are motivated to give their time, energy and service to their local communities, not for financial reward but for the satisfaction of helping others in need. Our volunteers are on call 24 hrs a day, 7 days a week, 365 days a year. Our volunteers give over 25,000 hrs to the community every year. With your help, we’ll keep watch for generations to come. With your help, we can save even more lives on the water. Your generous donation will help provide equipment and meet maintenance costs. Maintenance and fuel alone for our vessels costs over $60,000 per year. In Your support will help us keep watch. Volunteer Marine Rescue Hervey Bay is keen to work in partnership with respected and responsible businesses and other partners who share our ethos of working for the good of the community, of making a difference and of saving lives. To become a Volunteer Marine Rescue Hervey Bay Partner, contact our office on 07 4128 9666, between 9:00 am and 2:00 pm weekdays, or contact us online. 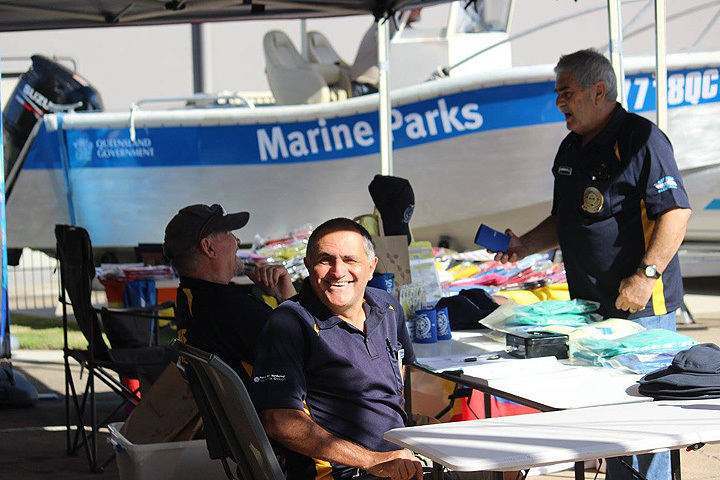 Volunteer Marine Rescue Hervey Bay offers you the ability to Donate securely online using your Credit Card. Thank you – we appreciate your generous support!